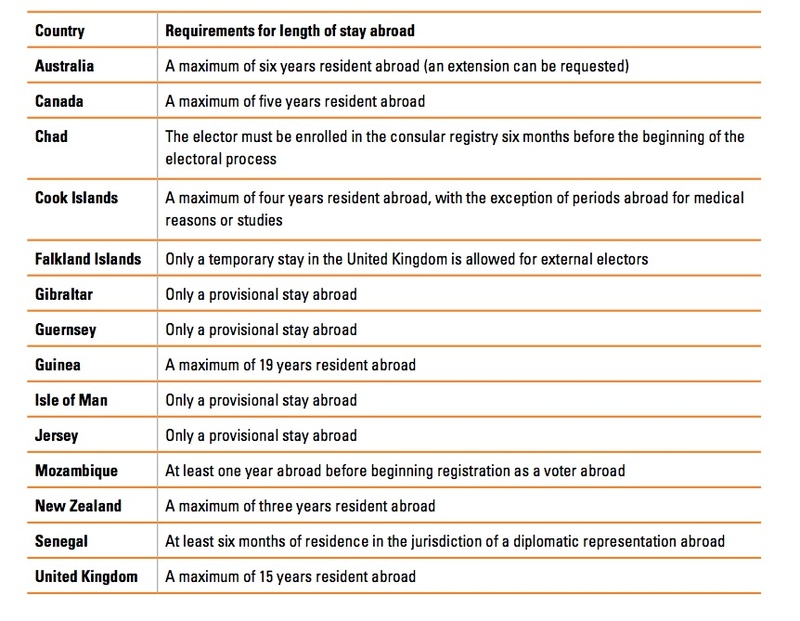 Ireland has no provision to allow is citizens to vote from abroad yet…. With between 190 and 196 countries in the world this means most of the entire world allows voting from abroad. External voting is most common in Europe, but is found in every region of the globe. The most common practice is to allow it for legislative elections, which is the case in 31 countries. Here are the regions of the world and the countries that allow voting from abroad, go Afghanistan! 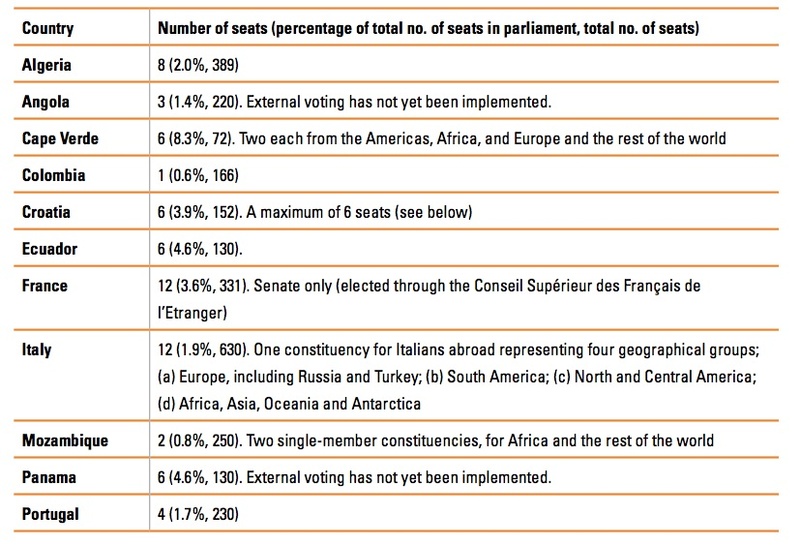 Eleven countries—four in Europe (Croatia, France, Italy and Portugal), four in Africa (Algeria, Angola, Cape Verde and Mozambique) and three in the Americas (Colombia, Ecuador and Panama)—not only allow their citizens abroad to participate actively in some electoral processes, but also enable them to elect their own representatives to the national legislature. The Portuguese abroad have been represented in the House of Representatives since 1976 . For this purpose, voters abroad also make up two electoral districts, one for Europe and the other for the rest of the world. The table below shows political representation foe external voters in national legislatures. Why should an emigrant who have a political voice in a country they left years ago? This is a common refrain when one raises the issue of extending voting rights for Irish citizens abroad. Yet other countries have been through these argument and some have placed limits on how long you can stay abroad before you lose your vote. 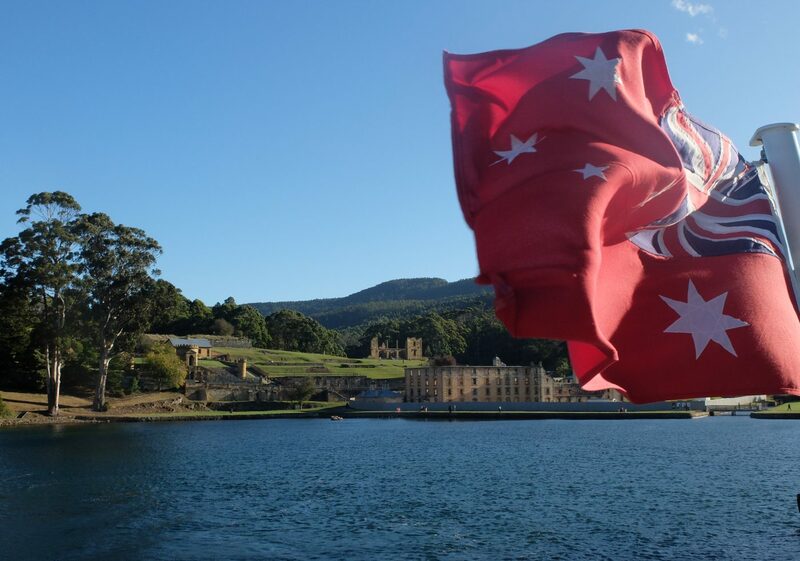 The UK allows you to say away for 15 years for example while the Aussies allow 6 years, but an extension can be granted. Couldn’t Ireland consider the same? Taxation depends on residency: Voting depends on citizenship. No representation without taxation is yet another simple call to arms to those invested in ensuring Ireland’s political status quo remains unchanged. America is the only country in the world that taxes its citizens who live abroad. Irish emigrants through remittances and holidays home maintain an economic relationship with home.